well then i started gathering the parts. We had some very high torque BLDC motors just sitting there. They had 75KG/CM of torque each making it 150KG/cm for me. Me being only 60 KG it was enough for me. 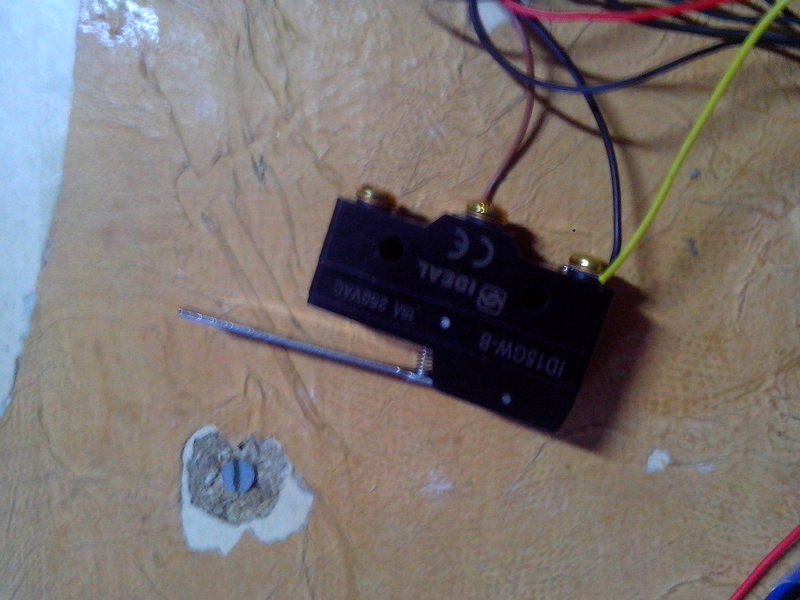 Then there was this accelerometer a faulty one, with only X axis Working and Y axis burnt down. I tried making it work without reading its datasheet and by mistake made it hot and its Y axis output went non functional. 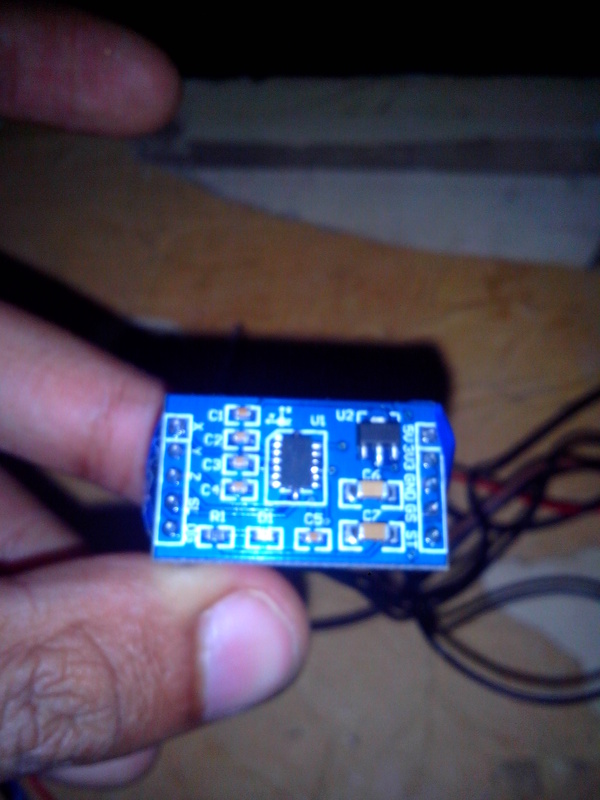 So i had this 3 axis accelerometer with only X and Z axis working. Also had a uC board with atmega16 on it. Few long wires a Limit switch and a bunch of connectors. Thanks to my Mechanical Engineer friends they modified an old chasis for me with the help of a Caster wheel into a very good looking (Ahem!) Skateboard. 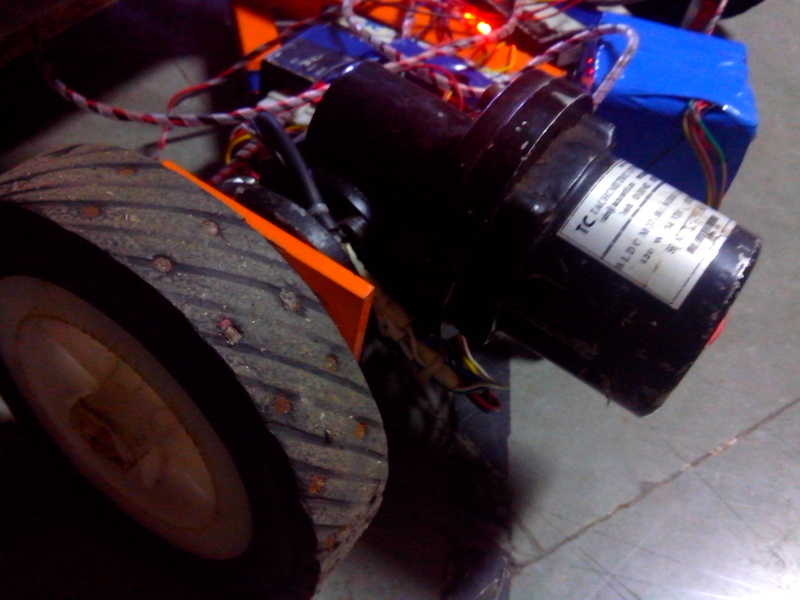 So i mounted my Motors, powered the drivers, Charged my Accelerometer. so I just powered it up with my 5S LiPo and whoa it worked. My childhood dream was right there. 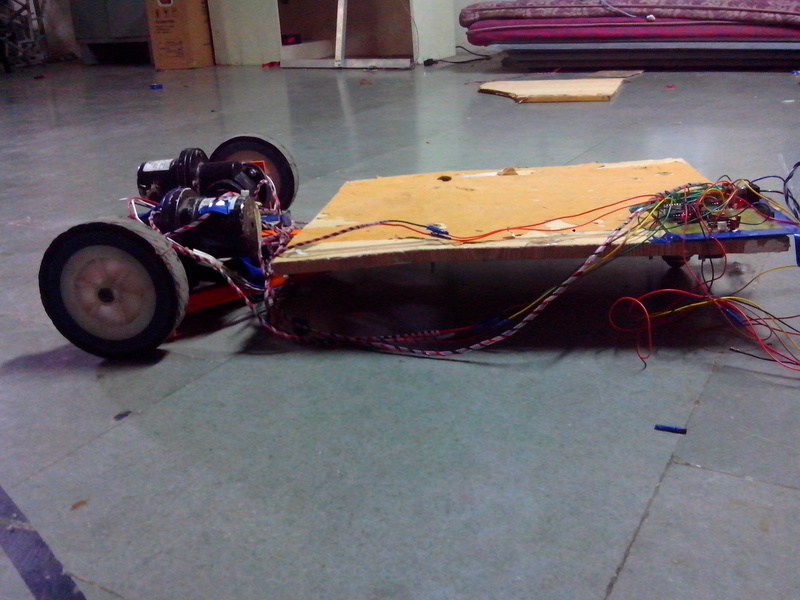 A hand gesture operated Skateboard. I Still have to reduce all those wires and make it RF. 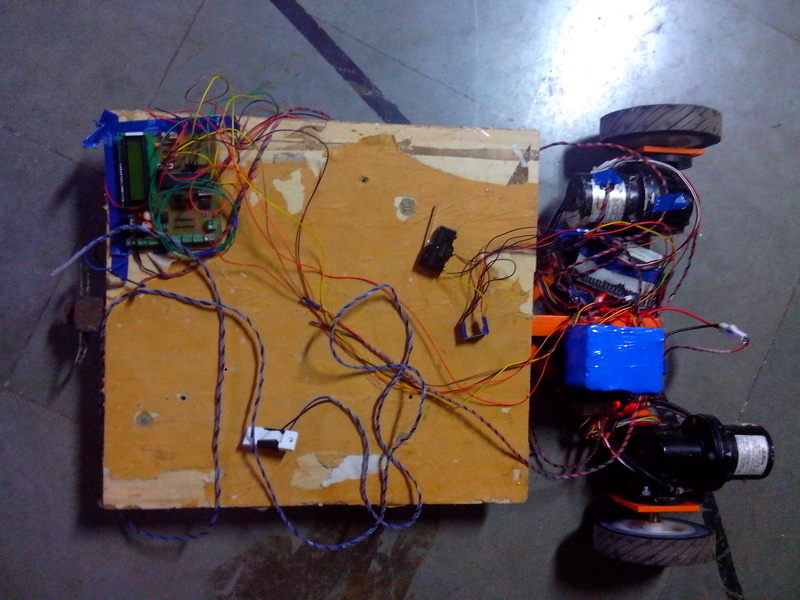 -have to fix it with a Proper Accelerometer. P.S. I am from Third world Country so the skateboard surely isn’t looking professional enough as i haven’t seen one in my whole life and only in cartoons but well if i get time i will make it look better. Sorry guys, I was busy for a while. As i promised I made it Wireless Now you can operate it from 150M of distance and freak out the people. Sadly i cant upload the video as the Internet connection is very low down here. Gr8 work Dude……… and it’s good if you post circuit schematic with header and source files. so it help others to understand it better. yes thank you. i will keep it in mind while posting next projects. 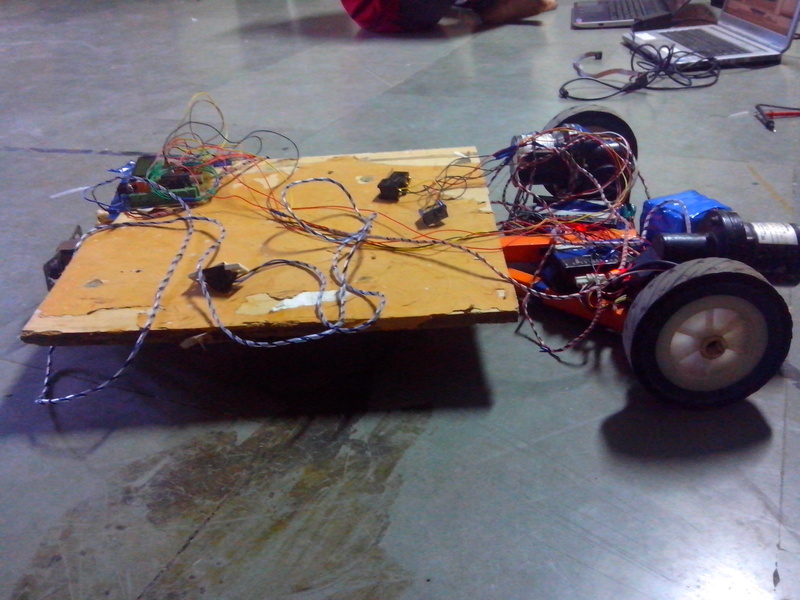 This entry was posted on August 10, 2013 by S4t4n in Robotics and tagged Accelerometer, Hand Gestures, Motorised, Skateboard.